With downsizer contributions coming into effect on 1 July 2018, what are some tips and traps for SMSFs and their members. 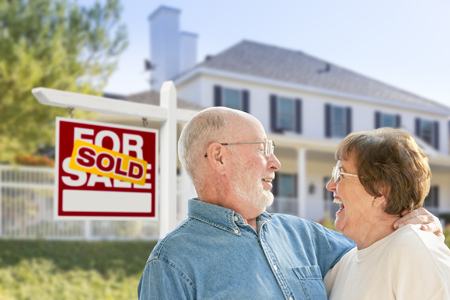 To reduce pressure on housing affordability, downsizer contributions provide an incentive for super fund members aged 65 years or older to sell a main residence. The Treasury Laws Amendment (Reducing Pressure On Housing Affordability Measures No. 1) Act 2017 (Cth) which introduces downsizer contributions received royal assent on 13 December 2017. How do downsizer contributions work? What are some tips and traps for SMSFs in utilising downsizer contributions? There are four broad steps that need to be taken if a member would like to be eligible to make downsizer contributions. The member has not previously made downsizer contributions in relation to an earlier disposal of a main residence. Note that a caravan, houseboat or other mobile home does not qualify as a main residence for these purposes. The member should determine whether they are eligible to make downsizer contributions and whether their main residence satisfies the above criteria prior to the disposal of the main residence. Upon the sale of a main residence a member can make up to a maximum of $300,000 in contributions to their super fund. Further, there is no age limit or gainful employment test that needs to be satisfied (however many SMSF deeds will preclude such contributions and an SMSF deed update is likely to be required). These contributions are not counted towards the relevant member’s contributions caps or total superannuation balance in the financial year a downsizer contribution is made. Once the member sells their main residence, they are required to make downsizer contributions to their super fund within 90 days after the day the ownership changed (typically 90 days from settlement). An approved form should be completed and given to the trustee of the super fund detailing the amount that is to be attributed to downsizer contributions. While multiple downsizer contributions in respect of the sale of the same residence can be made, the total amount of downsizer contributions made by each member cannot exceed $300,000. This total amount includes the amount of all downsizer contributions a member makes in respect of all of their superannuation funds. It is important to note that the $300,000 downsizer contribution cap is for only one member, therefore this would potentially allow for additional contributions of $600,000 for a couple (ie, 2 x $300,000). Given this 90 day timeframe, a member cannot make downsizer contributions if settlement is, for instance, on vendor terms that go beyond 90 days unless they have been granted an extension from the ATO. Upon the super fund’s receipt of the downsizer contribution form the super fund must inform the ATO during the super fund’s annual reporting. The ATO will then run verification checks on the amount and may contact the member for further information. If the ATO has verified that the member has made eligible downsizer contributions, no further action is taken. However, if the contribution does not qualify as a downsizer contribution the ATO notifies the superannuation provider. The amount will then either be allocated as a non-concessional contribution — if permitted by superannuation law and may result in the member exceeding their cap — or refunded to the member. What are some tips and traps for SMSFs and their members? As the downsizer contribution is a new type of contribution, the SMSF’s deed should have express wording that allows members to make these contributions to the fund, especially as a member over 65 years may not be gainfully employed and in many cases a member may be in excess of 75 years (and to date contributions cannot generally be made for such members under reg 7.04 of the Superannuation Industry (Supervision) Regulations 1994 (Cth)). Additionally the SMSF deed should provide appropriate mechanisms in resolving what happens when a downsizer contribution is deemed ineligible by the ATO. As a matter of reporting, the SMSF will need to receive approved downsizer contribution forms from the SMSF and report those contributions to the ATO. no longer eligible to receive any age pension payments altogether. Further adverse impact on other government entitlements may also follow as a result of the greater level of superannuation assets. This aspect will significantly reduce the attractiveness of the downsizer provisions for many who would otherwise be interested in the scheme. It is important to note that the downsizer contributions cap is the lesser of $300,000 or the sum of the capital proceeds. Any debt outstanding on a mortgage over the relevant property is not considered for the purpose of determining the capital proceeds. For example, John bought his main residence 12 years ago for $1 million. He then sells for $1.25 million when his outstanding borrowings are $1 million. John received capital proceeds of $1.25 million. Thus, John can make downsizer contributions up to $300,000. Members should also be aware that downsizer contributions are not deductible.